We have had the opportunity to fly many drones around our home, so when we saw the Air Hogs Drift Drone being introduced during the toy fair, which was held in New York this year (2017), we got super excited. If you’re currently on the market for a new drone and you’re getting into the racing section, then Air Hogs Drift Drone might just be a viable option for you. Today, we are going to take some time to introduce you to this cool drone so that you can see what it’s all about. First, before we tell you about the drift drone, we would like to give you a brief introduction to Air Hogs. Before you go out and buy something, whether it is a toy, microwave, vehicle, or laptop, it is always a good idea to read about the company to see what they are all about. Air Hogs, for those of you that don’t already know, is a line of toy helicopters, airplanes, cars, and rockets that are manufactured and owned by the Spin Master company of Toronto, Canada. 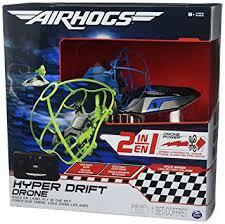 Air Hogs are radio controlled, air-powered and free-flying aircraft. Most of the remote-controlled vehicles have been designed to be flown without having to assemble any parts and that is something many people like about them. Air Hogs was created back in 1996 when British inventors Peter Manning and John Dixon approached Spin Master with their ideas. Spin Master liked the idea so much that they licensed the technology and spend a couple of years and half a million dollars perfecting the toy. Now, hundreds of Air Hogs later, here we are, staring at Air Hogs Drift Drone and as you can assume, this one lives up to the expectations. We couldn’t help but to notice Air Hogs’ next line of toy drones have lowered the price and difficulty barriers and it looks as if they are putting some attention towards racing drones, which is what this Air Hogs drive Drone is. This is a palm-sized quad that has a camera mounted on the front. The camera is capable of live streaming video straight to your phone or mobile device like a tablet. For safety, this drone has ducted propellers, so the propellers won’t hurt the little ones. There’s also a built-in pressure sensor, so the user will be able to concentrate on learning control and flying by first person-view through a headset, without having to worry about dropping out of the sky. Once the user has a handle on things, they can shut the sensor off and enjoy the exciting drifting experience that comes with this drone. The agility reminded many of the Blade Glimpse FPV. 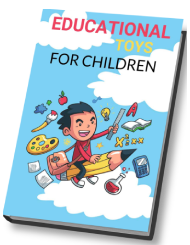 Not only is Air Hogs Drift Drone great for children that are just starting out with drones, there are many adults that will enjoy this drone. So, regardless of what age you are, there is a whole lot of fun packed inside this little drone. Communication range of 200 ft.
for racing at breakneck speeds.